Being a full-time student means your progress can be monitored at each stage of training, giving you every opportunity to make the most of your investment. Should you fail your ground exams and flight tests during your training (and this is exactly the same whether you’ve chosen the integrated or modular routes) while the chance does exist to retake them, airlines do look more favourably on graduates who have passed first time and with top marks. So it really is worth getting your head down, working hard and accepting all and whatever help and advice is available. While many of these aspects of your training are completed as part of a curriculum that has been set by the CAA, it’s the specific character, location, cost and presentation of each FTO that will help you decide which is the best suited for you. The ATPL ground exams – for many, the most demanding part of the training. You’ll need to pass 14 exams covering subjects such as navigation, flight planning and aviation law. Flight training – the fun bit. A majority of this may well take place overseas, often in the USA, which offers cheaper flying and better weather. Night Qualification – your first additional qualification, allowing you to fly, as you would expect, at night. Commercial Pilots Licence – the CPL is a basic requirement to be allowed to fly for financial reward. This is a major stepping stone towards a career in the airlines. 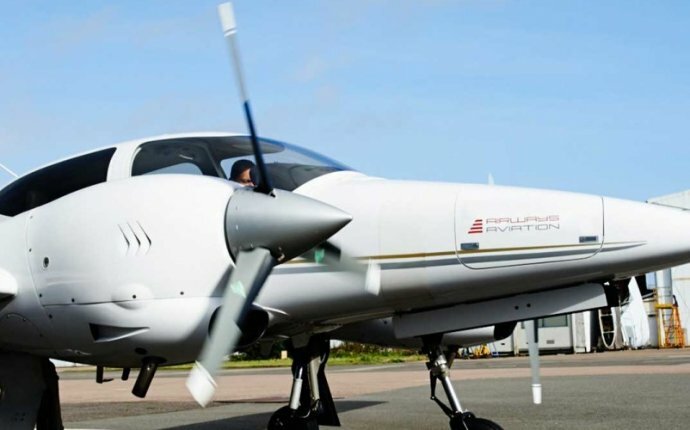 You need a minimum of 150 hours of flight time to get this far, with flying more complex aircraft with retractable undercarriage and variable-pitch propellers. Instrument Rating – the most demanding of the flying skills, flying solely with reference to the aeroplane’s instruments. Multi-Crew Co-operation – learning to work as a team, a requisite for the majority of professional pilots. With all of this successfully completed, you’ll have what is known as a frozen ATPL. The ‘frozen’ part refers to the fact that you’ve passed the required theory part of the Airline Transport Pilots Licence; to ‘unfreeze’ it you’ll need to have a total of 1, 500 hours flying time logged. You’ll also need a type rating, basically the result of a course of training undertaken that is individual to each type of aircraft, e.g. a Boeing 737-400. At the present time, particularly when applying for a first job with many airlines, you might well have to pay for your own type rating, at a cost of between £20, 000 and £30, 000. However, as your experience increases, you can generally expect future type ratings to be paid for by your employers. The modular route refers to training at an equally high standard to that offered on an integrated course. What’s more, just like ATOs offering the integrated routes, a number of modular training establishments have strong links with leading airlines. The big difference is that the study doesn’t necessarily take place as a full-time study option or over a set period of time. Instead it can be done at the student’s own pace, module by module, as time and money allow. When choosing a modular route, a student might typically choose to complete a module and then take some time out to go back to work and earn enough money in order to start the next module. Alternatively, they might combine a job during the day with their pilot studies at weekends and in the evenings. @UncleChaps @CaptainCons @RiggsBarstool @KFCBarstool Marine jet pilot in training here. Can confirm, we are all handsome as hell.